Pamela Lloyd has performed on stages throughout the United States and in Europe, initially as a successful musical theater singer/actress. Her vocal gifts have transported her to the world of opera and classical song. Her career began in California after graduating from The University of California at Los Angeles (UCLA), where she received the Carol Burnett Musical Theater Award and a Bank of America grant. When Pamela joined Vienna’s resident company of Cats as Jenny-Any-Dots/Griddlebone, her passion for opera and classical singing was born. While performing eight shows a week at Theater an der Wien, she studied with Professor Frank Kubik at the Vienna Music Conservatory (Konservatorium Wien). Pamela later joined Amsterdam’s production of Cats at The Carré Theater and, after that, Zürich’s resident production. She has sung this musical in German, Dutch and, on occasion, English. Pamela has performed in Vienna’s Schöne Neue Musik Festival with the Czech State Orchestra as Chemöse in the world-premiere of Alexander Blechinger’s Simä, which was broadcast on Radio Vienna. She’s sung under the baton of Anton Coppola as Jenny Diver in Three Penny Opera for Manhattan’s DiCapo Opera Theatre and as Santuzza in Cavalleria Rusticana for Staten Island’s Richmond County Orchestra. She recently sang her first Senta in Der Fliegende Holländer at New York City’s Bechstein Hall. Other performances include Fiordiligi in Così fan tutte for Scott Jackson Wiley, Principal Conductor of The South Shore Symphony at Lighthouse International in New York City, the Soprano Soloist in Messiah with the Ensemble America Chamber Orchestra for the New Jersey Music Society and Mother in Amahl and The Night Visitors. 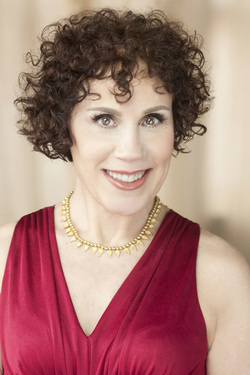 Pamela has concertized as a soloist for Trinity Church at Wall Street’s renowned “Concerts at One” series and with The New York Chamber Players Orchestra. She's sung the National Anthem and other patriotic songs at a recent televised World Trade Center Memorial Ceremony. Pamela concertizes frequently with Bass-Baritone Andrew Costello, most recently at Greenbrier Resort in West Virginia. HMS Pinafore for San Francisco’s Lamplighters.